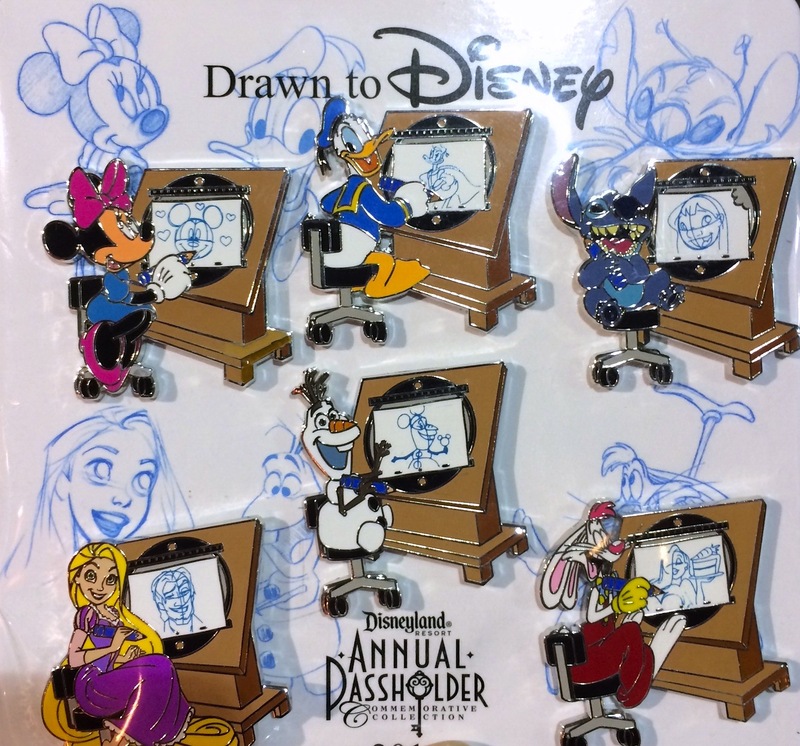 The Disneyland Resort has released their 2015 Annual Passholder Pin Set, Drawn To Disney, featuring six characters drawing at an animator's desk. Minnie is drawing Mickey, Donald is drawing a superhero version of himself, Stitch is drawing Lilo, Rapunzel is drawing Flynn, Olaf is drawing himself in a Mickey Ear hat, and Roger Rabbit is drawing Jessica holding carrot cake. 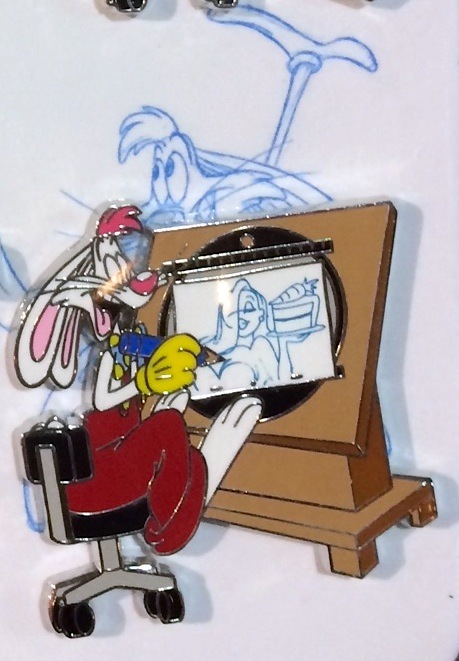 The character drawings are printed in blue on the pin. The set is only available to Annual Passholders and sells for $29.95. Thanks to José for the photos and info.